At a September 2016 campaign stop in Orlando, Florida, Hillary Clinton delivered her Inclusive Economies speech, which unveiled a progressive pro-disability platform. In her speech, Secretary Clinton painted a picture of an “inclusive economy that welcomes people with disabilities, values their work, and treats them with respect.” By claiming progress for people with disabilities through the lens of employment and economic participation, she struck right at the heart of American inclusion. The quintessential goal of the disability advocacy movement is independent living: The opportunity to prepare for a career life, hold down a job and have agency over important decisions. As the then leader of the Democratic Party, Clinton called on all Americans to focus our energy on making this nation a better place to live for people with disabilities. Although the election results mean Clinton won’t be implementing this platform, her call to action remains a priority for individuals, organizations and our collective efforts. The past few decades have brought incredible progress for people with disabilities on our journey to full inclusion. Beginning in 1990 with the Americans with Disabilities Act supported and signed by President George H. W. Bush, each administration has moved us closer to our goal. President Bill Clinton expanded the Individuals with Disabilities Education Act (IDEA) to apply the same high academic standards for all students, including those with disabilities, and he worked across the aisle to pass the Work Incentives Improvement Act that allows disabled workers to maintain their Medicare or Medicaid coverage during employment. President George W. Bush signed the Americans with Disabilities Act Amendments Act of 2008 (ADAAA) broadening the definition of “disability” and his New Freedom Initiative promoted full participation of people with disabilities in all areas of society. President Barack Obama made the most impactful commitment to the enforcement of the ADA when he surpassed his own goal of hiring 100,000 people with disabilities into the federal government, created the first-ever office of disability integration at the Federal Emergency Management Agency (FEMA) and appointed the first special adviser for international disability affairs at the State Department. We have been riding the tide of an inclusion revolution! But now, President Donald Trump threatens our progress with a social justice recession by promoting exclusion with his cabinet appointments, executive orders, budget cut proposals and dubious policy announcements. We are witnessing changes that could harm protections based on pre-existing conditions in healthcare, de-institutionalize Medicaid and Medicare, end federal support for accessibility in education, reduce access to jobs, minimize ADA enforcement and increase voter suppression. I don’t remember a more complicated period than today when people with disabilities not only seek progress but also have to defend previous gains. Our movement needs the activism and advocacy of its community members and allies now more than any other time in our recent history. If you aren’t already involved in organizing an effort, a movement or a campaign, the time to join one is now. Look to our national organizations like the American Association of People with disabilities (AAPD), the National Council on Independent Living (NCIL), Americans with Disabilities for Attendant Programs Today (ADAPT) or social media groups like Disability Power for Community Integration, Crip the Vote and the Disability Visibility Project for opportunities to get involved. Support disabled candidates for office beginning in 2017 by engaging with Disability Action for America PAC. Speak to your family, friends, neighbors, caregivers, fellow students, colleagues and elected officials about why disability progress is important for maintaining your independence. For myself, I will continue my work to make sure we have a seat at the table. Last year, the Democratic National Committee created the Disability Council and I was honored to accept the position of the Council’s first chairman. This opportunity came after generations of hard work by many people with disabilities in the Democratic Party. 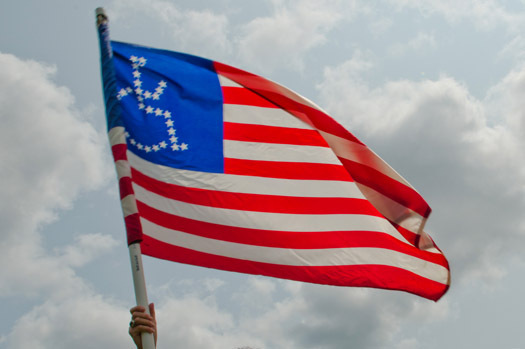 The Disability Council will be focused on creating a more accessible space for disabled Democrats in the party, developing policy to advance our agenda across the nation and support Democratic candidates for office who prioritize disability issues. At the beginning of this piece, I reminisced about Hillary’s call to action. And so I’ll end with my own by simply asking you to join the inclusion revolution!